"The floral image is a strong element throughout much of my work and certainly draws on my keen interest in gardening and growing a host of blooming plants, but it has “deeper roots” than that alone. As a child I grew up in rural Ohio playing outdoors in nearby woods and I would characterize my early life as rather idyllic. I had loving parents and opportunities to explore interests, most of which revealed themselves to be in the arts. This relatively unchallenged life pattern continued with little deviation until 1994, a pivotal and significantly impacting year and equally impacting were the ensuing years during which I was asked by circumstance to redefine who I am. In 1994 my whole family, husband, self and three children were in a head-on collision with a man having a seizure. Both that man and my husband died instantly but the remaining four of us were all critically injured. In one brief moment my life was fully and completely redirected. The new path was foreign, overwhelmingly complex and relentlessly demanding for several years. In an effort to self sooth I turned to pursuits that had brought me contentment, happiness and a sense of homeostasis over the course of my life. While gardening, one of those pursuits, was now physically much harder, it became even more necessary to create beauty wherever I could. Flowers are perpetual reminders of renewal and that nature restores and repairs itself over and over again. Flowers were my balm for a beleaguered soul and body. Even as my artistic creations began to encompass broader focus with more emphasis on human conditions the flower has found its way into so many of my visual narratives as supporting cast or the ‘Star’ of the metaphor, satire or personification story lines of my imagery. It simply is ever present in my world and cast of characters. 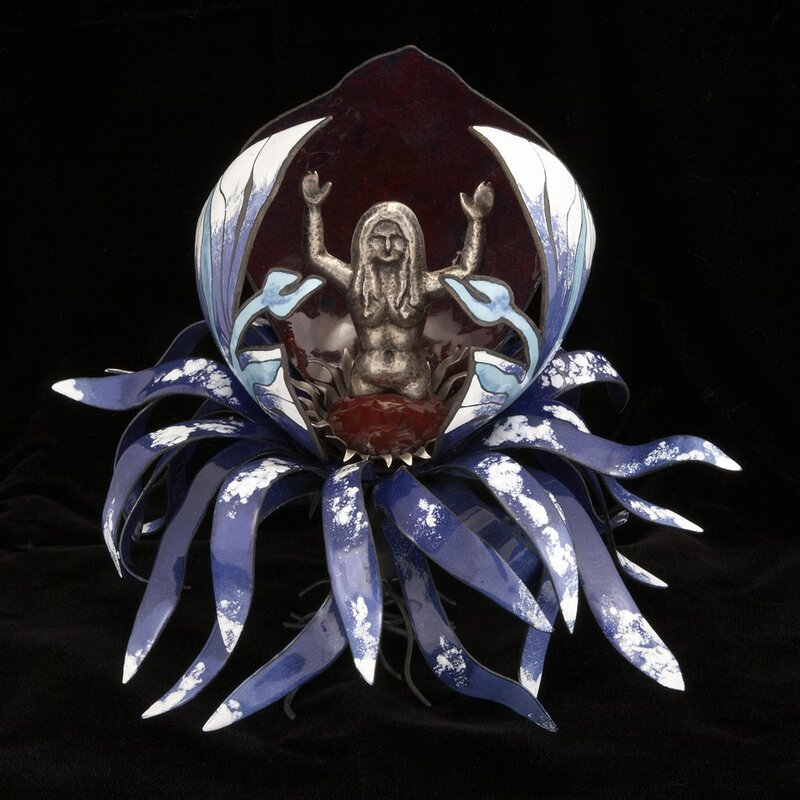 In “Emergence” the flower is the giver of life, houses the coming of age or the soulful rebirth. In “Hello Spring” it unapologetically celebrates nature’ s cyclical pattern for the pure joy it brings after a long winter having no greater artistic agenda than to be a thing of beauty. It is the reward for having trudged through months of cold, gray, wet and dreary days. In “Echo” it repeats itself but to what purpose? As in a hall of mirrors that reflect self at every turn, does the flower intend to confuse, overwhelm, or manipulate the viewer? Is it coquettishly teasing the viewer, drawing the viewer in further to its own mysteries, its own idiosyncrasies? Have we ever considered that flowers have characteristics not so terribly different from the human and in their own forms make every effort to communicate with us on a host of levels we have never tapped? Whatever your visual responses to my use of the flower or your conclusions might be to the questions I pose, won’t you share with me this FLOWER POWER and send up a cheer, “Viva le fleur!”?" Lauralee Hutson is a graduate of the Cleveland Institute of Art, and teaches three-dimensional design and sculpture at Lorain County Community College. 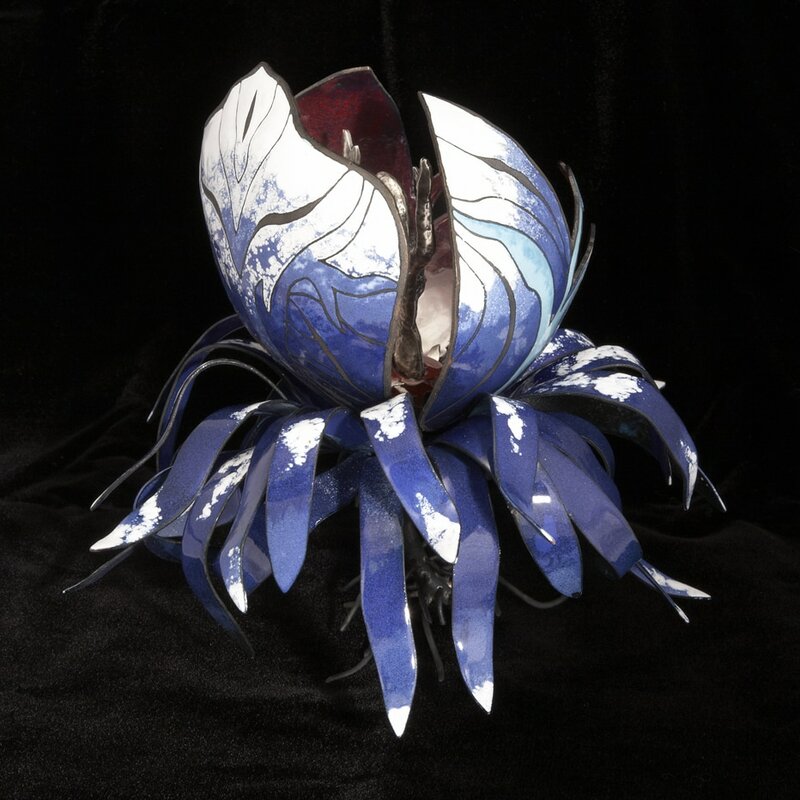 She has been a metalsmith and enamellist for fourteen years, exhibiting her work both nationally and internationally. 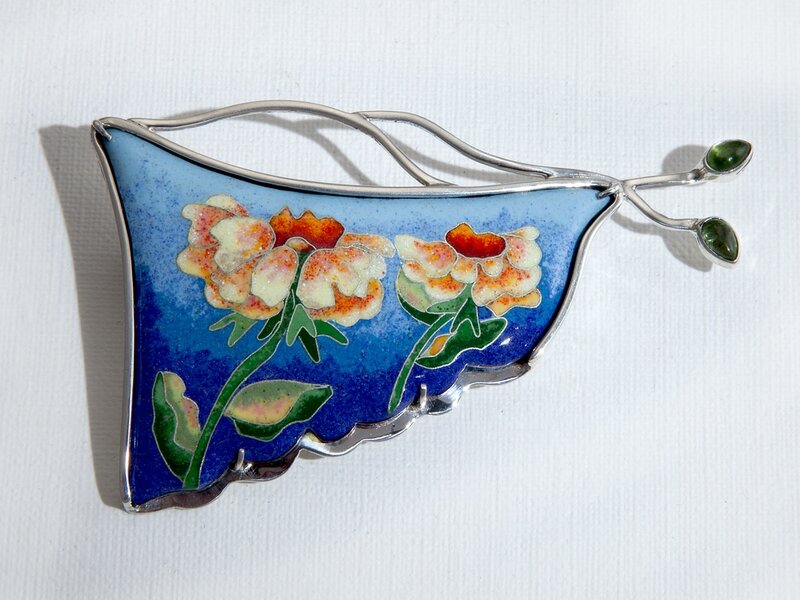 Lauralee sells via galleries, and commissions, and her work has been in numerous publications including Lark Books "500 Enameled Objects”.